We appreciate the initiative you have taken to improve road conditions. 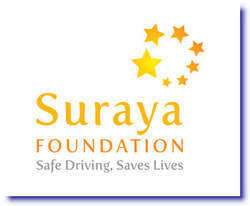 Please spread the word by joining Suraya Foundation facebook fan page and suggesting your friends to support the foundation. We will keep you updated with the developments taking place in the foundation.